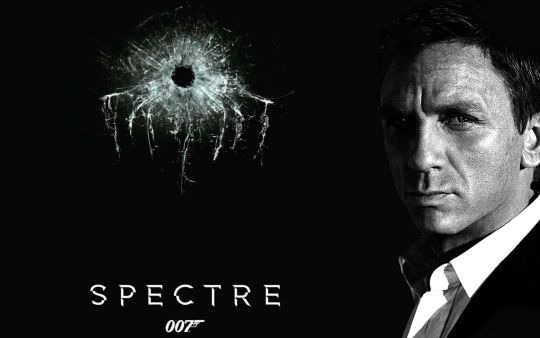 Internal Sony communications indicated that “Spectre” star Daniel Craig and the movie’s director Sam Mendes were both opposed to multimillion dollar product placements for Sony or Samsung Android phones because it could tarnish the suave image of James Bond. The discussion was revealed last winter when the movie studio’s emails were hacked, as noted today by Bond movie aficionado John Gruber of Daring Fireball after Financial Times writer Henry Mance discussedthe role product placement plays in movies. An earlier report by Matt Weinberger of Business Insider UK noted that Sony had initially offered Craig $5 million to carry around its Xperia Z4 phone in the movie. Discussions involved an $18 million marketing commitment from Sony, escalating to a $50 million marketing and promotional package from Samsung as well as a $5 million product placement for Bond to be seen using an Android phone with Samsung’s brand on it. “BEYOND the $$ factor, there is, as you may know, a CREATIVE factor whereby Sam and Daniel don’t like the Sony phone for the film (the thinking, subjectively/objectively is that James Bond only uses the ‘best,’ and in their minds, the Sony phone is not the ‘best’),” wrote Andrew Gumpert, President of Worldwide Business Affairs and Operations for Columbia Pictures. Product placement in movies and TV has become a big business, and Bond films have long been a vehicle for associating some of the world’s most luxurious brands with the super-spy character, from Aston Martin cars to Rolex watches. It’s harder to picture James Bond using an Android phone, given both their cheap image and notoriety for suffering a litany security vulnerabilities such as Stagefright. Apple has long offered free access to its products to a variety of movie and TV studios, resulting in decades of pictures and shows where virtually every model of Apple computer has made a big screen appearance of some sort. While Nokia, Samsung and other commodity hardware licensees of Android or Windows have in recent years become notorious for the conspicuously prominent paid placement of their products, the return on investment from such deals does not appear to be very high. Despite regular appearances in movies, Nokia and Sony have essentially vanished from the consumer market in the minds of most consumers, and Samsung’s phone profits have imploded over the last two years despite billions spent on high profile marketing as Apple’s iPhone expands its command as the most popular phone available.